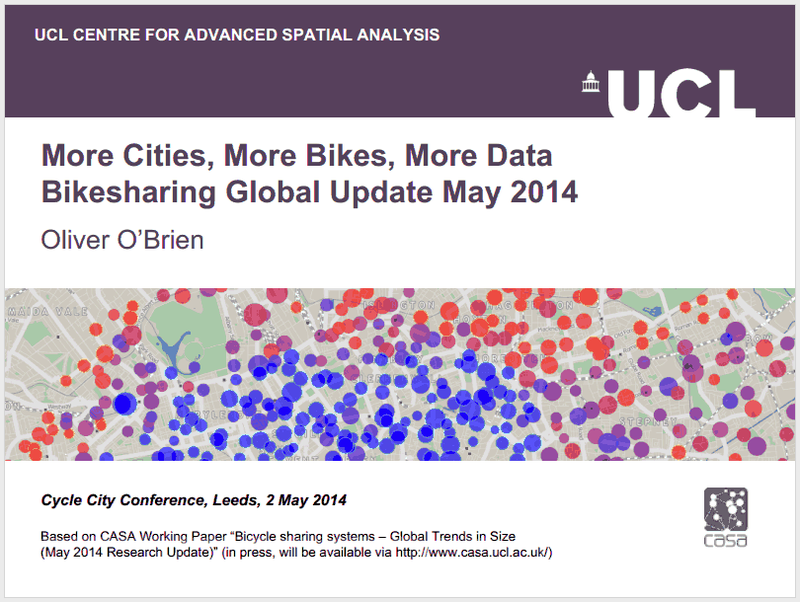 I presented some research I’ve carried out at CASA, at the Cycle City conference in Leeds last week. The research shows how the numbers of bikeshare bikes and docking stations have varied between 2010 and 2014, for 46 systems across the world (not all systems have numbers for whole period of study). The numbers are from the database which backs my live global map. View the slides from my presentation here. The work has been written up into a CASA Working Paper (#196). 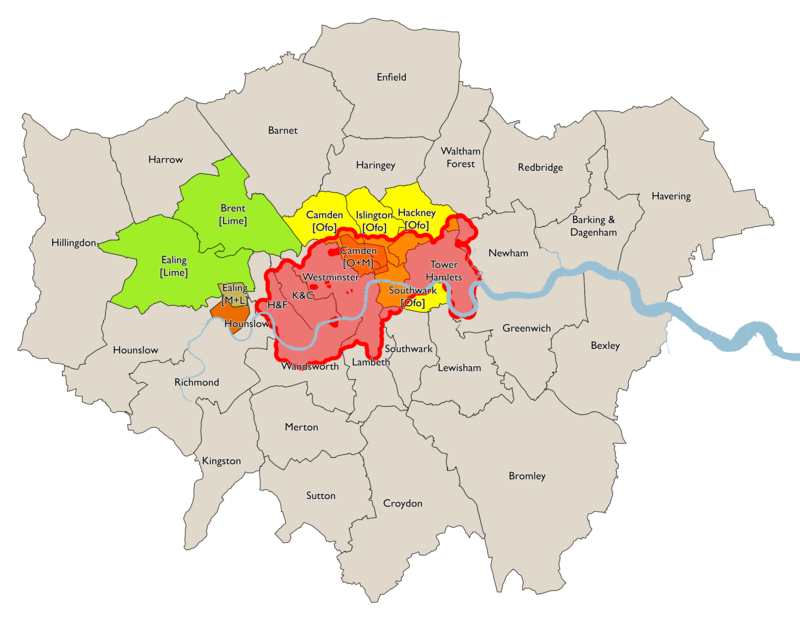 The appendix includes the numbers of bikes and docking stations, for the 46 systems, across eight periods of collection in six-monthly intervals from October 2010. You can view the paper as a PDF by following the link above. There are many, many more bike sharing programmes in Italy than just Torino and Milano. Here is a map that shows many of them: http://www.bikesharingworld.com . The Torino URL is wrong by the way. It is http://www.tobike.it. Turin doesn’t provide a useable data feed, so I use a third-party source, citybik.es. The appearance of their website in the system title is as a thank-you to them. I’m not aware of any other Italian systems that are large enough to be of interest from a spatiotemporal standpoint (as a guideline, 10 or more docking stations and in active use). Rome is large enough but the system has few bikes left and appears to be being run down. I did collect data on it and a number of smaller Italian systems for a while – you can see them as grey dots on the global map.